mustang 50 years — Apple Beauty Inc. Forth fragrance line of FORD MUSTANG brand celebrates the anticipated 50 year anniversary of the brand. 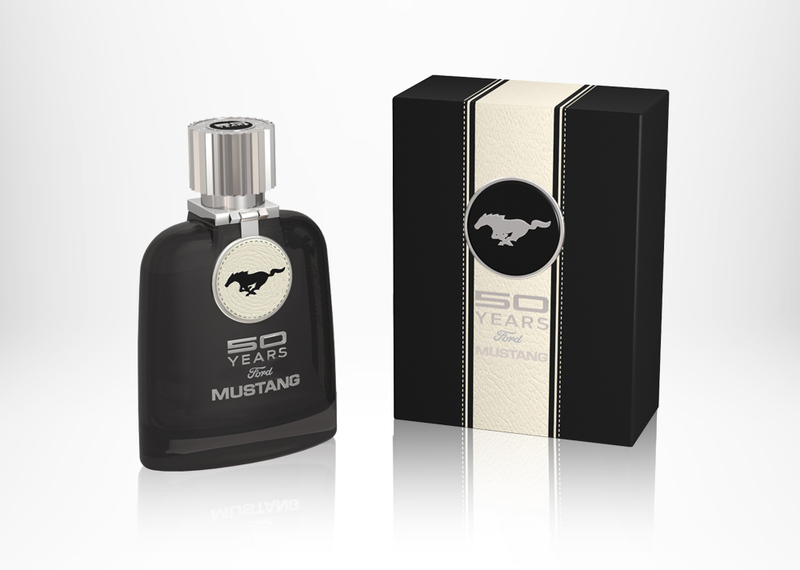 The fragrance called “50 YEARS FORD MUSTANG” follows the success of their previous fragrances, “FORD MUSTANG CLASSIC”, “FORD MUSTANG SPORT” and “FORD MUSTANG PERFORMANCE”. Two new fragrances for both men and women to honor this significant anniversary were specially designed. 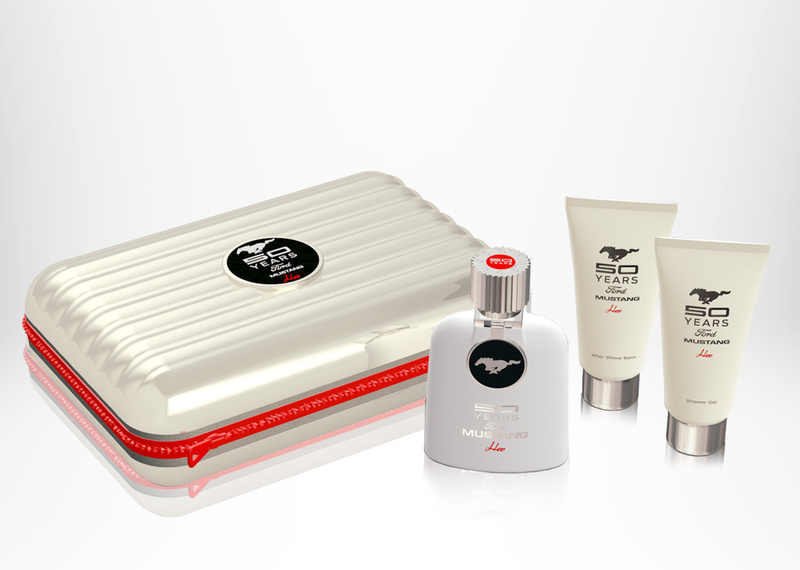 The new men’s fragrance, 50 YEARS Ford Mustang Eau De Toilette Pour Homme. Both the men’s and the women’s will be available in two sizes 50 ml /1.7oz and 100ml / 3.4oz and Gift Set in specially designed gift set case. The women’s line is launching their first fragrance called 50 YEARS Ford Mustang HER. The collection has passionate and sweet.